Designed with a high curb clearance, no overhangs and drum widths of 51.2 (DV36D, DV45CD) and 54.3 (DV45D) inches, these new roller models are ideal for walkways, residential driveways, bike paths, tennis courts, parking lots and other small-to-mid-size compaction applications. The DV Series combines a compact size, and excellent maneuverability and visibility, with many of the same features found in larger compaction machines. A 43.5-hp Tier 4 Final engine delivers high centrifugal forces and frequencies at lower RPMs, making the machine more fuel efficient, while selectable dual frequencies (2,700/3,420 VPM) further improve productivity and allows operators to dial the machine in to meet the compaction needs of the job. 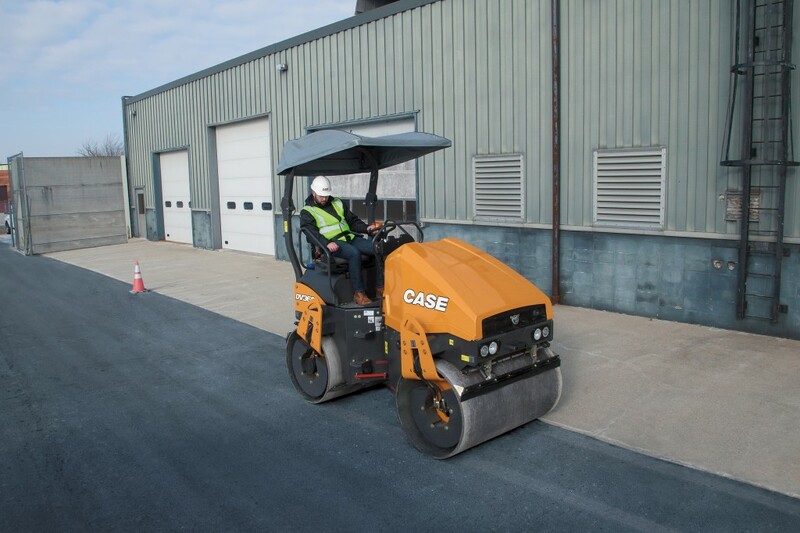 DV Series rollers are compatible with the Case ACE Force Intelligent compaction system – a technology designed to improve compaction quality, requiring fewer passes to reach target specs and resulting in savings in time, fuel costs and machine maintenance – as well as avoiding pitfalls related to under- or over-compaction. Ace Force also generates reports for applications where exacting specifications and records of compaction performance are required.